There's E3 1995. There's a Sega keynote in it. It's... uh... well. What is the game at 28:40? Tom Kalinske offers no more details other than it being an "unfinished game" (imagine pulling that sort of stunt today). It features pre-rendered footage of a car knocking down a colleseum. You can see it being reflected in the TV screen of the Riglordsaga footage at the 3h 25 min mark. Other highlights include Nintendo droning on about video game piracy, and Sonya, Jax and Liu Kang turning up to fight each other for Mortal Kombat 3 (before Sonya gets bored and just walks away). It's not in the original 1996 release, either. I would never have thought to look there - nice spot. I love early 90s 3D rendering - make an animation to prove you can, then shoehorn it into an unrelated project because it looks cool. No problem! A local laser tag place I visited a lot as a kid used to have Sega Super GT Plus/Scud Race Plus, so I've seen its attract screen many times. Great game too! Wondering how my local laser tag place imported it though, considering that it only released in Japan. I have a soft spot for early 90s 3D rendering. I am wondering how this ended up solely in Scud Race Plus though. Maybe it was intended for the canceled Saturn port of Scud Race's opening? 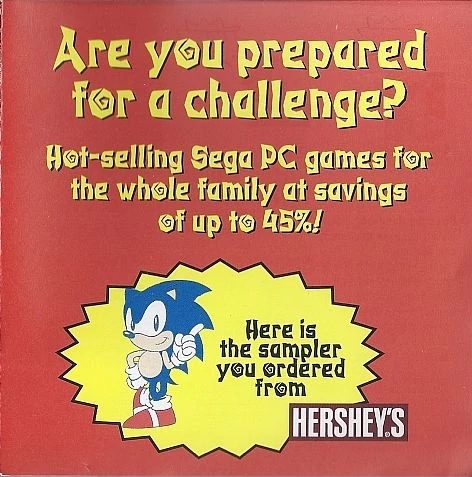 Playing Sonic 2 in 1993 might have saved some lives. 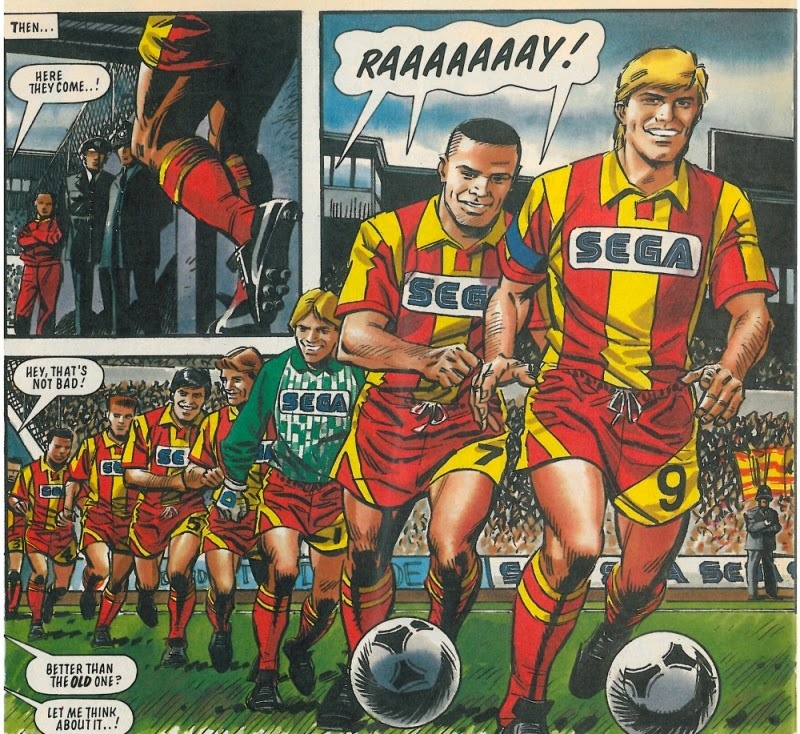 Incidentally the scores in that flyer are not easy to achieve in 15 minutes, particularly when half the games would have been brand new at the time. 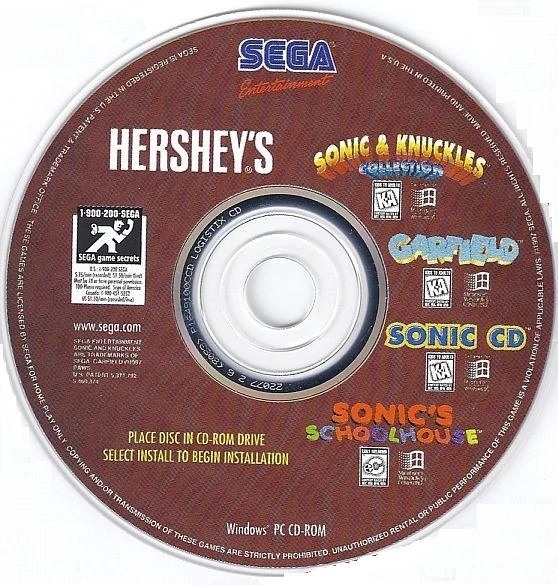 It's by no means impossible but you have to actually be able to play the games - Sega had a good eye for detail, even for throwaway things like this. Uh-oh. You know what that means. All the DLC is about to go bye bye. I need a name for this disc - any suggestions? p.s. 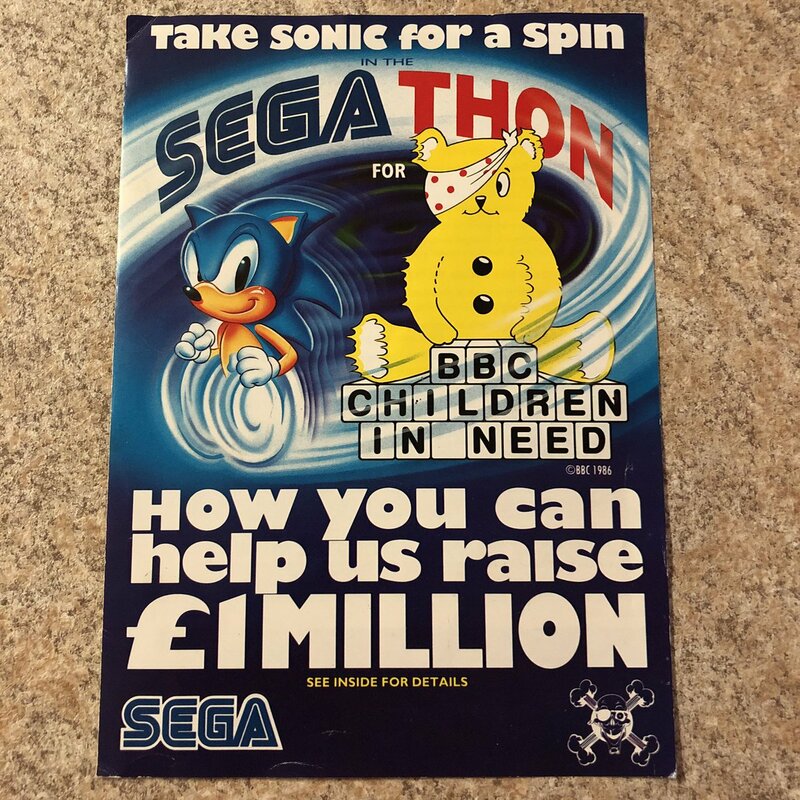 we could do with better coverage of old Sega demos - given that they used to distribute them for free from the old SoA website, we could even host them. Also have any info about this disk? This but without the Sega part because it's only gonna exist on a Sega related website. But they're games from the "Sega PC" brand. It's actually based on something - Big Title which is so unbelievably rare I'm not sure even the Shenmue community is on top of this one. Couldn't possibly tell you what the story is, but it seems a company known as "Togo" was partly responsible, which might explain the name change. Unfortunately it's all a pack of lies. 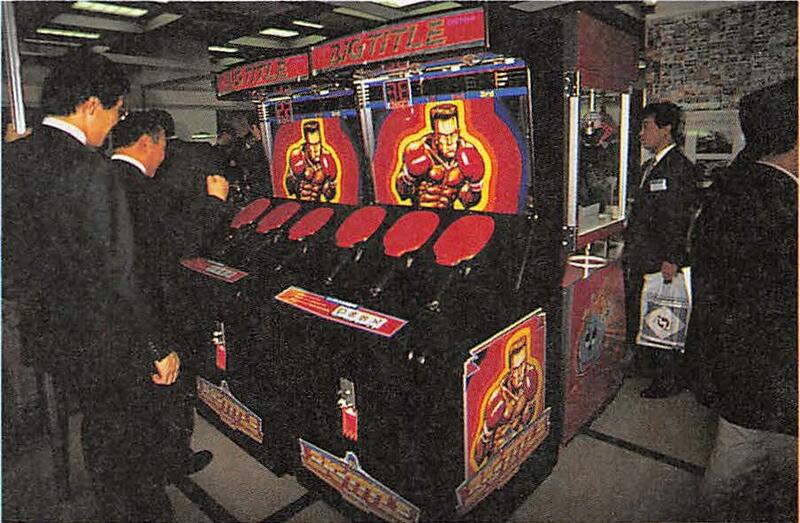 Shenmue takes place in 1986, whereas according to this flyer, Big Title wasn't released until at least 1989. A tweet and image to add to Big Title's wiki page. Stills from this sequence exist in the ever-so-pointless Virtua Fighter CG Portrait Series Vol.2 Jacky Bryant. 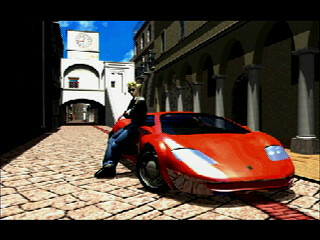 The car is also seen in a different FMV for Virtua Fighter 3tb on the Dreamcast, but it's only brief and nobody cares. So technically Jacky Bryant has a cameo in Scud Race Plus. Or at least his car does. 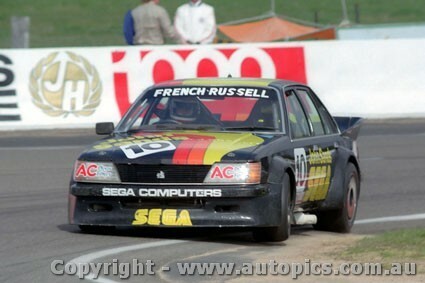 "Rusty French / G. Russell Holden Commodore VH - Bathurst 1984"
There's some 1:43 scale models floating around. 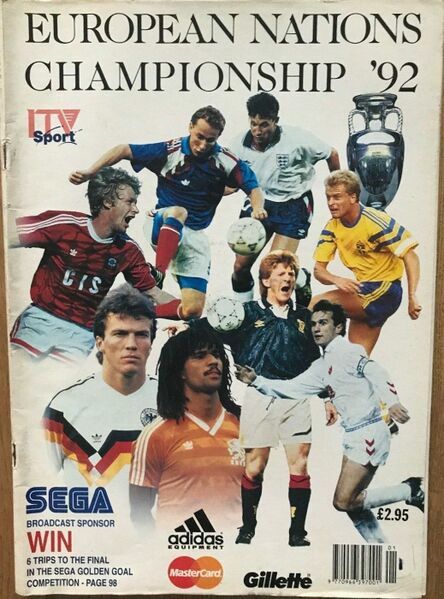 How about Sega's sponsorship of ITV's coverage of UEFA 1992. In magazine form.